Businesses with the right technology in place are able to process payroll on their own, with few problems or exceptions. However, it isn’t always that easy or straightforward. In some cases, payroll can be one of the largest expenses for a business. Complex payroll posting situations like pay rate changes and other exceptions are difficult to manage, even with strong business solutions. Here are two solutions that will keep payroll costs down and productivity up. 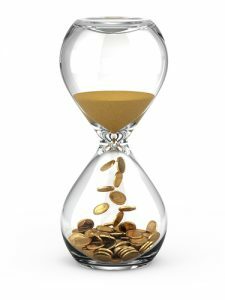 It’s a commonly used adage in the business world – ‘time is money’. If it takes time to complete a job, there is a cost to equate to it. Most business leaders don’t usually apply this school of thought to payroll processing. Even though it takes time, payroll isn’t a billable expense, it’s a standard part of doing business. Payroll is and always will be something a business must complete whether it’s weekly, bi-weekly, or monthly. rate changes to be handed out on occasion. Rarely do any of these events take place on the day of a payroll run. As such, your payroll team has to perform some special calculations to ensure employees are being paid for the right time, at the right rate. These and other complicated payroll processes cost both time and money. Split employee costs and expenses: In order to optimize employee labor, employers will share employees between departments or projects. This is great for taking advantage of your skilled employees, but it creates complications in payroll. Splitting time and expenses across multiple cost centers takes time and attention to detail. Deploy Employee Accounts and Splits to streamline this process. You create a setup record that allocates employee time, tax and benefit expenses and let the system do the work. Employee Accounts and Splits will automatically allocate costs by percentage based on department, position, pay code or general ledger account. Making rate changes: Pay rate changes can happen at any time and for almost any reason. Employees get raises, for example, and the dates they become effective are often specific. Unfortunately, they rarely coincide with payroll processing. Mid Pay Period Rate Changes is an easy fix for this particular payroll complication. With this simple add-on solution, you establish the pay rate changes and the system will store that information for the next payroll run. Mid Pay Period Rate Changes will enforce different pay rates within the same pay period. Employees can easily verify their changes on their earnings statement. They’ll see the hours and old pay rate on one line and the new hours under the new pay rate in another line. Payroll can be tricky and the time that is dedicated to these complications is easily overlooked. Don’t let payroll challenges be just another expense in your overhead budget. You can improve the productivity of your payroll department, gain greater control and insight over operations and save valuable time and money. Contact Integrity Data to discuss your most time-consuming payroll challenges and learn about the solutions, like Employee Accounts and Splits or Mid Pay Period Rate Changes, that can alleviate those problems.